VEX Robotics competitions start off in September when students (elementary/middle/high school) attend kickoff and are given a challenge (much like FIRST’s FRC competition). Three weeks after kickoff, and after students have had time to begin building their robots, we start League Nights. This opportunity allows veteran members to teach younger students STEM principles. High school mentors are on hand to answer questions, assist the students, and run practice matches. 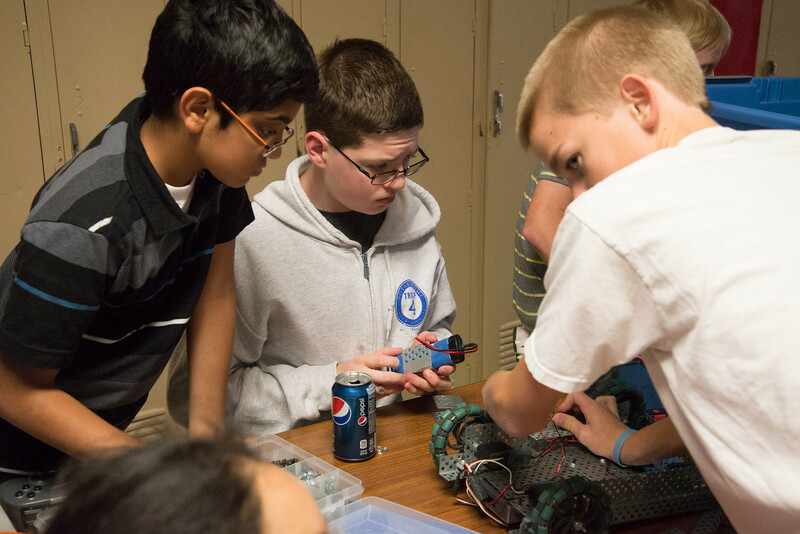 The goal of the VEX League is to show students an exciting and practical application of STEM principles. This past season, we had over 30 kids attend the league nights to get help with their team’s robot. Furthermore, many students who have participated as middle schoolers have been or are now members of CORE, showing how influential VEX league nights are.